MONTREAL - Financially struggling Mobilicity wants a court to include its multi-million-dollar wireless licences in any sale of the small carrier. The Toronto-based company is under creditor protection and has been up for sale for months without a successful buyer. It paid the federal government $243 million for its wireless spectrum in 2008, subject to a ban on selling them to one of the major carriers that expires Feb. 12. 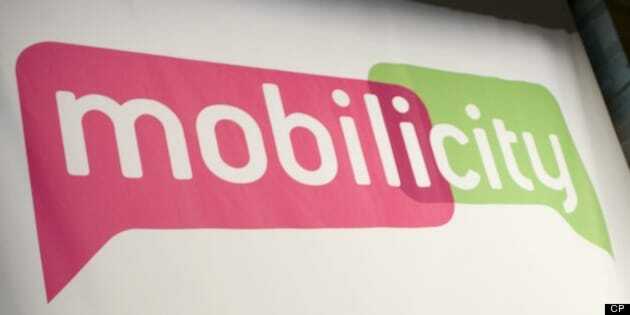 Mobilicity said it has been unable to "reach a clear understanding" with Industry Canada on the sale and transfer of its licence, once the ban expires, and has turned to the courts. "It is now clear that the speed, certainty and value of any acceptable transaction depends almost entirely on the ability of the Mobilicity Group to transfer the Mobilicity spectrum licences," the carrier says in documents earlier this week with the Ontario Superior Court of Justice. Industry Canada has twice refused Mobilicity's sale to big carrier Telus (TSX:T), saying that a purchase by a major carrier, such as Telus, Rogers (TSX:RCI.B), or Bell (TSX:BCE), will decrease competition. Mobilicity's sale is being supervised by the Ontario Superior Court of Justice and the carrier said the court has the power to include its spectrum licences in a purchase. It also said the federal Companies' Creditors Arrangement Act (CCAA) has the authority to act in this case. "It is also clear that the federal Crown is bound by the terms of the CCAA," the recently filed court documents said. Telecom analyst said Eamon Hoey said he doesn't think Mobilicity will be successful. "They're asking the judge to overrule what is the privy of the federal government," said Hoey, of Toronto-based Hoey Associates Management Consultants Inc.
"I don't think the judge can direct the federal government unless he's got some constitutional reason to do it." But Hoey noted that Mobilicity paid for its licences and could argue there's no reason for them to automatically go back to the federal government. Mobilicity operates in Toronto, Ottawa, Calgary, Edmonton and Vancouver and has almost 180,000 cellphone customers. It says it has enough cash to keep operating until the second week of February. Bidders for Mobilicity haven't been made public. A spokesman for Industry Minister James Moore said the government is looking forward to the court's "positive" ruling on the matter. "Our government will not approve spectrum transfer requests that decrease competition in our wireless sector," Jake Enwright, Moore's press secretary, said in an emailed statement. Ottawa has held firm on its policy of more competition in the wireless industry, even though new player Wind Mobile is also up for sale and Public Mobile, which had no restrictions on its spectrum, has been sold to Telus. No date has been set to hear Mobilicity's request.